MONKEYS ARE MY FRIEND: Just In Time For Summer! In the past few days, the weather has finally become spring-like. Just in time for my latest knit project to be ready to wear! Cuddle socks! 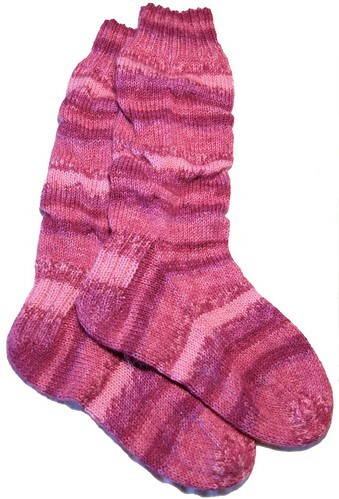 They are wonderful - soft and slouchy and they make me want to cuddle up under an afghan and read as soon as I put them on.